Tomer graduated from Wesleyan University with a degree in Philosophy. Later he earned his MBA at the University of Pennsylvania. 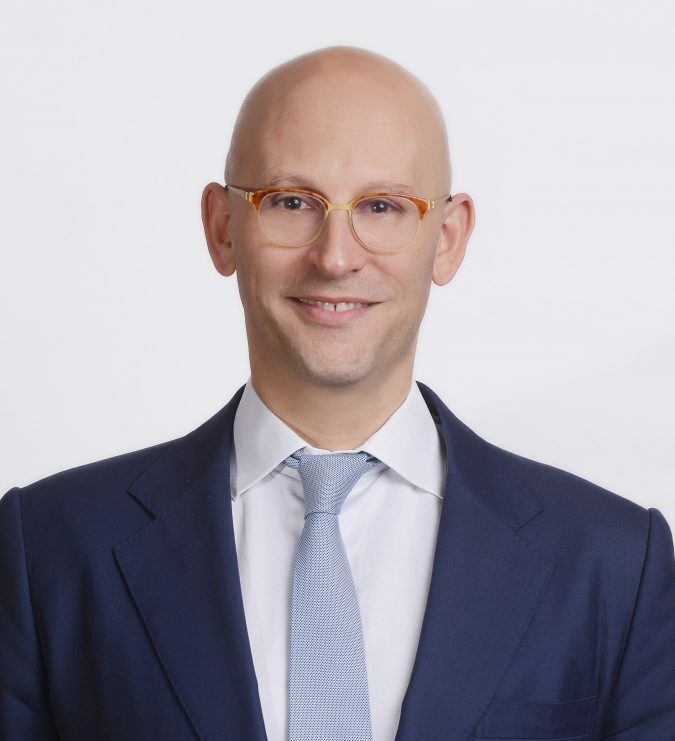 Before founding ESC he worked on Wall Street and was the China country manager of a publicly traded US company. He is the father of three children, and when he is not carefully reviewing essays he can be found playing with his children. Stacy is a graduate of Wellesley College, where she studied Religion and Political Science. Several years later she received her MBA from the University of Chicago. Prior to founding ESC she was a research associate at Harvard Business School and a management consultant with Katzenbach Partners. Stacy is grateful that she discovered the world of college counseling upon moving to Beijing. She loves helping students tell their personal stories and learn how to be more compelling writers. Dorothy grew up in Cleveland, Ohio, near the shores of Lake Erie. She is a Wesleyan University graduate and double majored in Sociology and Hispanic Literatures and Cultures. There, she was awarded high honors in her undergraduate Sociology Department Thesis on virtual reality. Dorothy has a passion for creative writing and enjoys writing poetry and short stories. She has taught high school students at Columbia University in New York City while working as a summer administrative teaching assistant. She enjoys playing violin, writing music and improvising new styles! Mackenzie is originally from Columbus, Ohio. 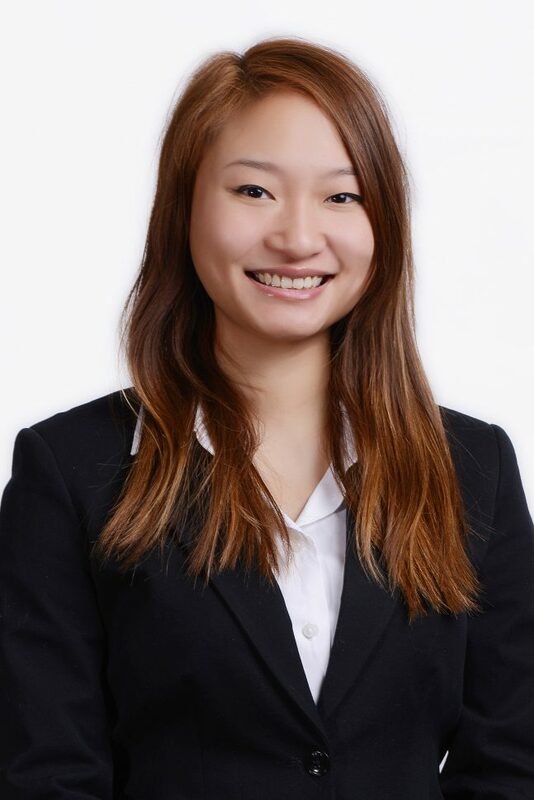 She graduated from Macalester College, where she majored in Chinese and International Studies, and concentrated in Economics. 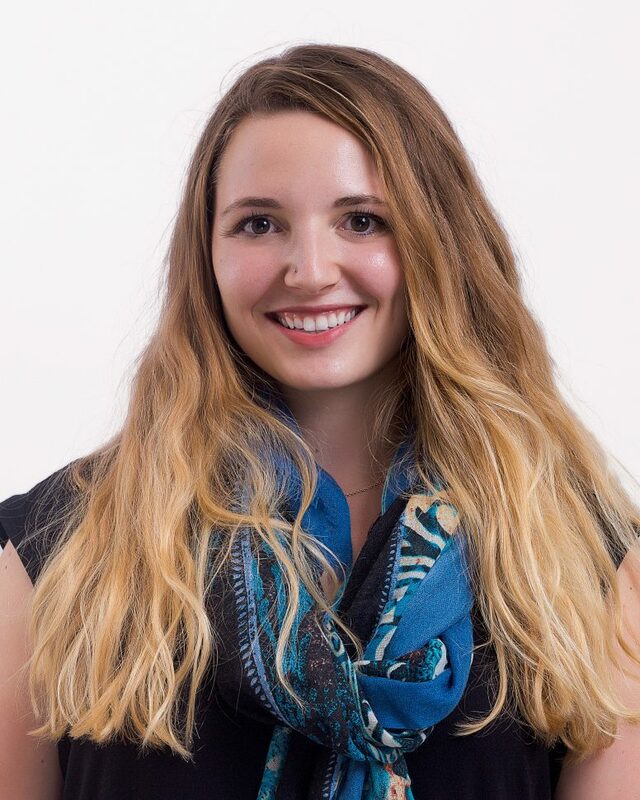 Academically, Mackenzie is interested in international health and art history, and has grown to love mentoring students through her experiences working as a counselor at a summer camp offered by her high school in Columbus, and tutoring at a predominantly Hmong elementary school in Saint Paul. Her fondness of Chinese language and culture has also brought her to study abroad in Shanghai and Guilin. On her own time, Mackenzie enjoys hiking, drawing, and playing music with friends. Peter grew up in the Chicago suburbs and graduated from the University of Chicago, majoring in History. Throughout all four years of college, Peter was involved with the Neighborhood Schools Program as a teaching and office assistant. 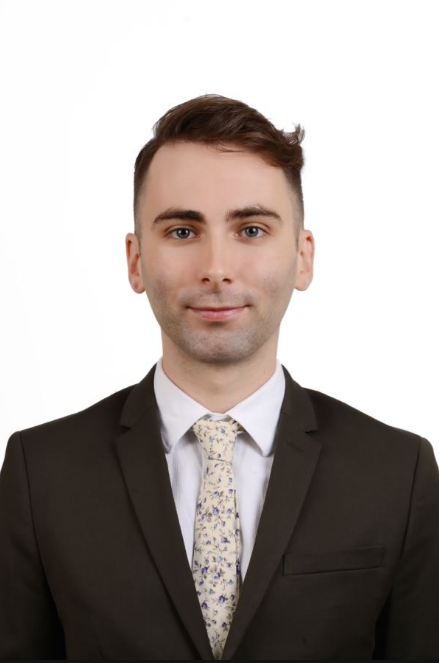 In addition to his work in Chicago, Peter has completed a copy-editing internship at Academia Sinica in Taipei and an internship at ESC in Beijing (before he became a full-time ESC consultant). 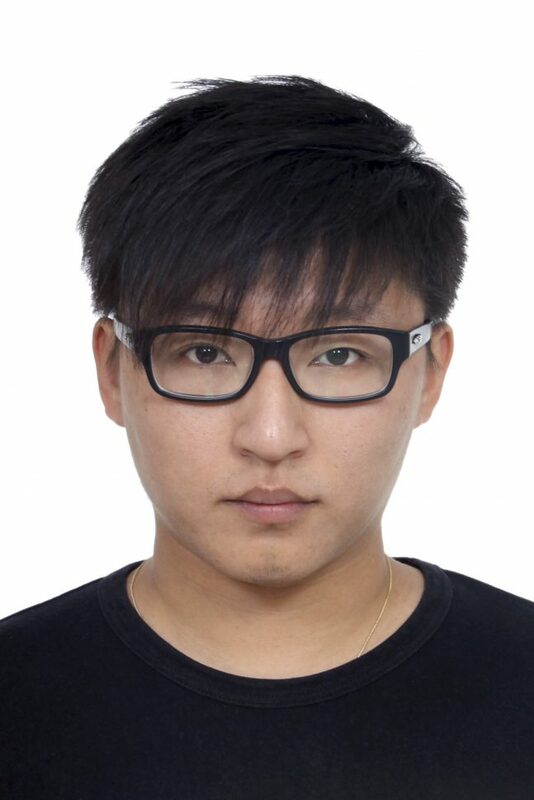 In his free time, he enjoys playing badminton and video games. 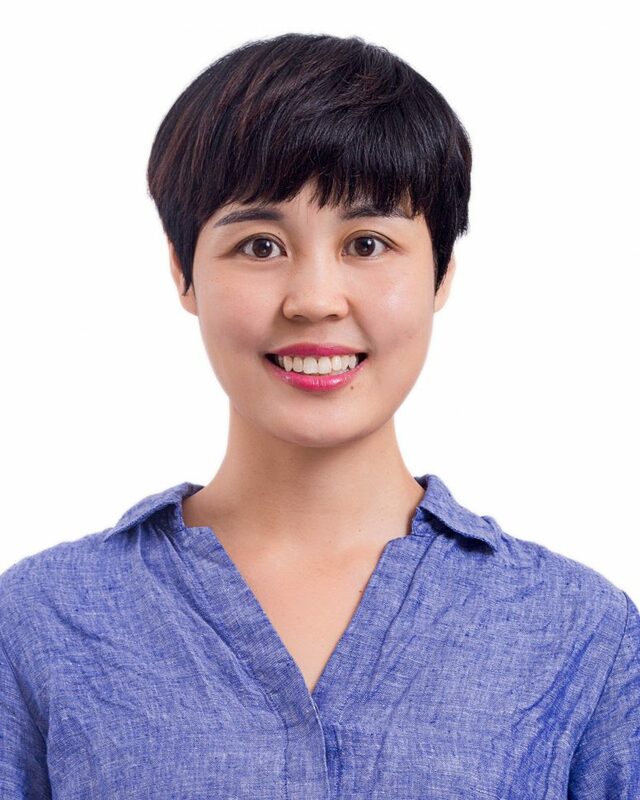 Born in Guangdong, China, Xueying grew up in Seattle, Washington, and graduated from Wellesley College with a double degree in English Literature and Economics. During college, she taught students how to write analytical essays in one-on-one tutorial courses. She also ran the campus newspaper and has worked as a business journalist in Cambodia as well as a television news producer in Chicago. What excites Xueying the most is the craft of storytelling, which she hopes to share with her students at ESC! 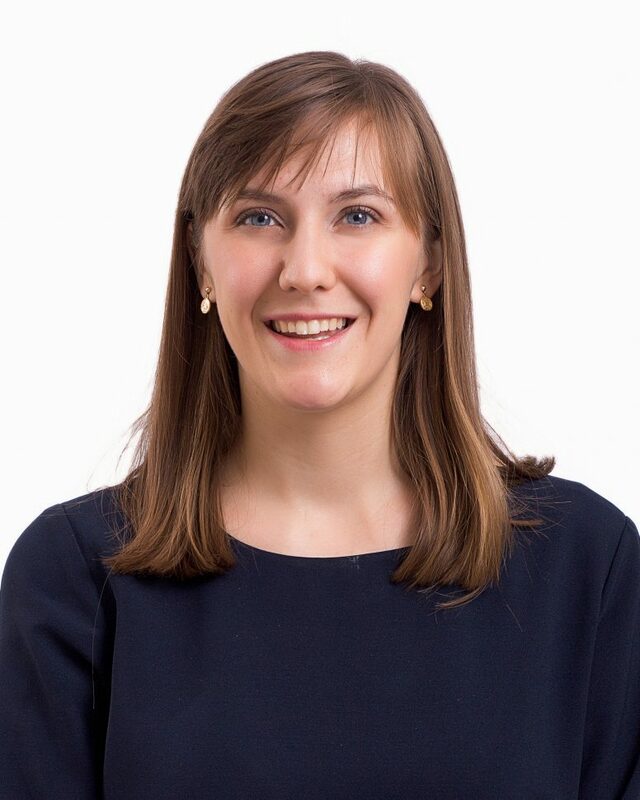 Emily is from Houston, Texas, and graduated from Davidson College with a degree in Political Science and East Asian Studies. 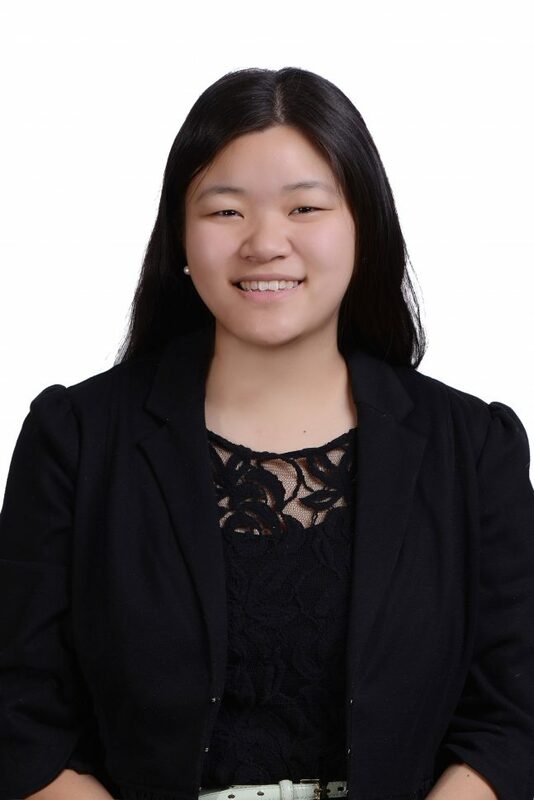 She spent the fall of her junior year studying abroad in Shanghai, and spent her senior year completing a fellowship in the Office of Admission of this selective U.S. college. 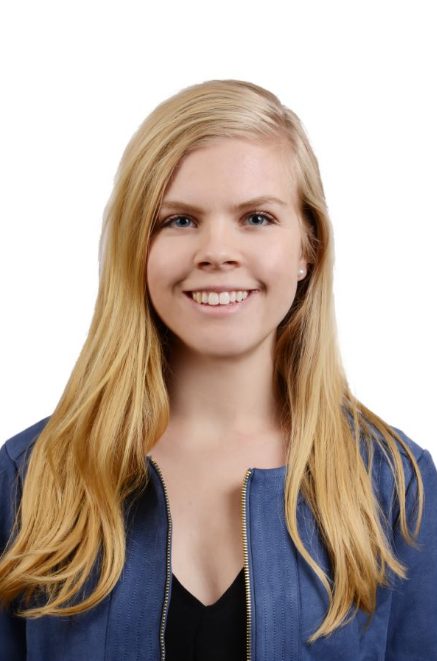 Emily has interned with the World Affairs Council of Houston, during which she created resources that enable Texas educators to teach their students about important world issues. Emily is eager to pursue her interest in higher education in China, as well as work with ESC’s brilliant students. In her free time, Emily enjoys reading science fiction and fantasy books and learning new board games. Liza majored in Educational Studies and minored in Chinese at Vassar College. She worked as a consultant at the writing center, where she developed a love for working one on one with students. She also volunteered with the Listening Center, a 24/7 peer-to-peer hotline. She spent a summer in a Qingdao University language intensive. Through working at community centers, educational non profits, and a variety of classrooms, she became interested in the interpersonal aspects of education. 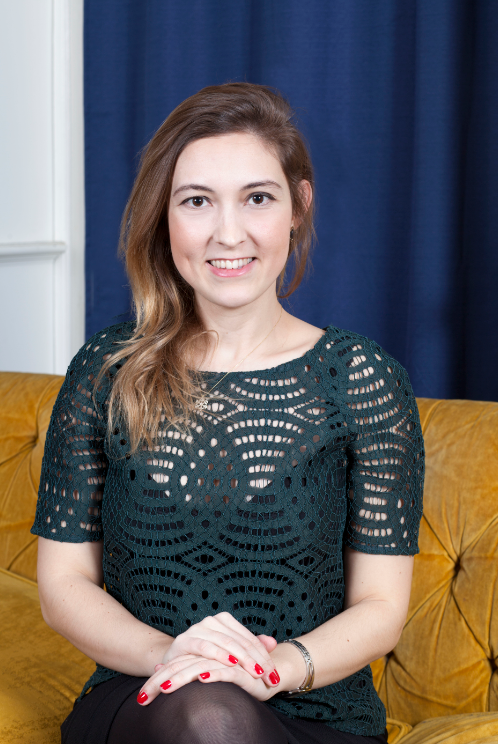 Liza grew up in Brooklyn and enjoys cooking, knitting, and listening to podcasts. Maya graduated from the University of Michigan with degrees in Asian Studies and Sociology. Her academic interests include processes of cultural understanding and integration, and the impact of modernization on traditions and cultures. After graduation, Maya moved to Beijing, where she mentored American students studying abroad to help them adjust and succeed in their new environment. 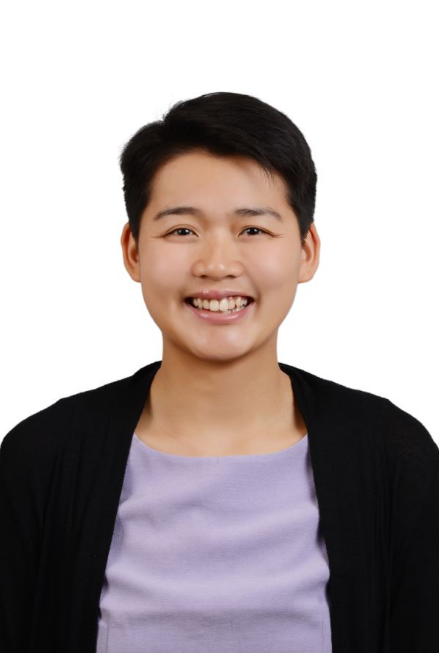 Maya is member of Beijing’s ultimate frisbee community that works to develop leadership, teamwork, and athleticism in young women. 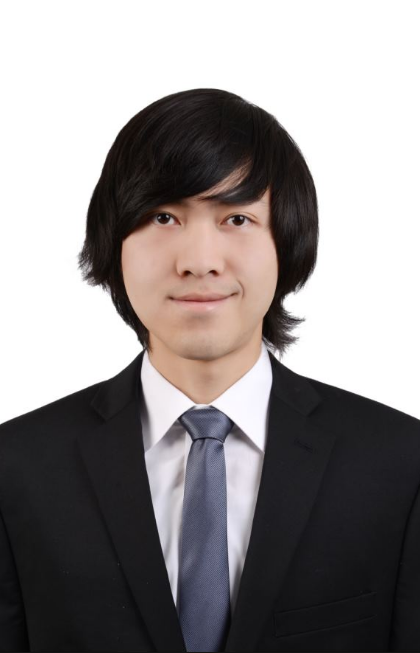 Jing earned his bachelor’s degree in Anthropology & Economics – Political Science from Columbia University and his master’s degree in China Studies from the Yenching Academy of Peking University. 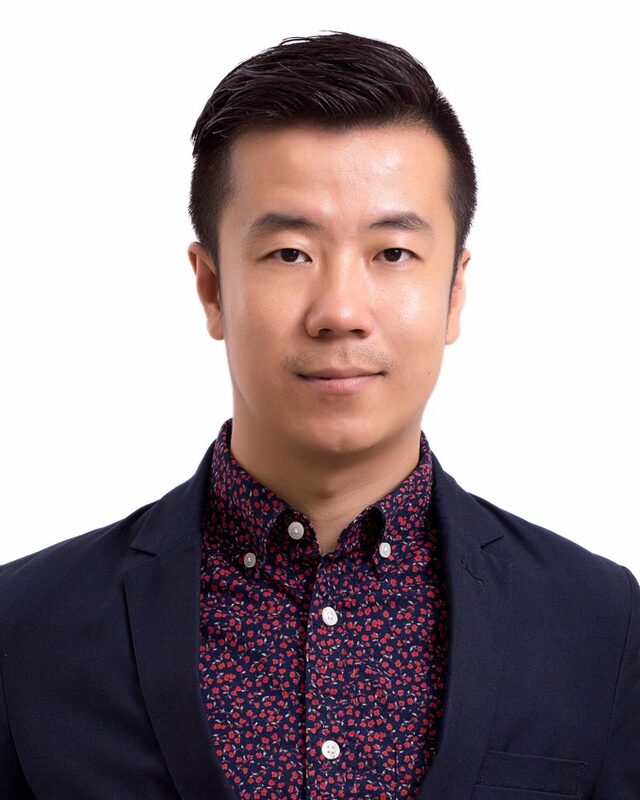 His past experiences in the field of education include working as a Writing Center Editor and Education Consultant where he worked one-on-one with Chinese high school students on a range of IGCSE subjects. Jing is originally from the beautiful island of Penang in Malaysia and is always striving to improve his cooking and Mandarin Chinese. Juliette graduated from the University of Chicago with a degree in Cinema and Media studies. As an undergrad, she tutored middle and high school students in reading, writing, and French. She also wrote, produced, and directed student films while serving as president of UChicago’s only student film organization. She took particular pleasure in mentoring younger students as they wrote and made their first films. 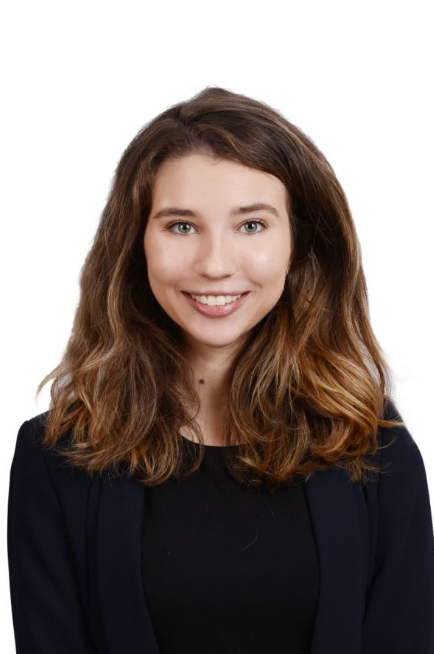 Juliette studied abroad at Renmin University in Beijing before spending a summer working at an advertising agency in Hong Kong. She loves writing, traveling, and filming her surroundings. She is a San Francisco, California native and can always be found trying new foods in her spare time. Chris developed an interest in language learning from an early age and majored in Linguistics at University of Chicago. As an undergrad, he volunteered as an Admissions Ambassador, counseling students applying to UChicago. After graduation, he taught English at elementary and middle schools on a small island in southern Japan. He then went on to start an MA in International Education at the Middlebury Institute of International Studies and has supported education programs in Pakistan, Japan and California. 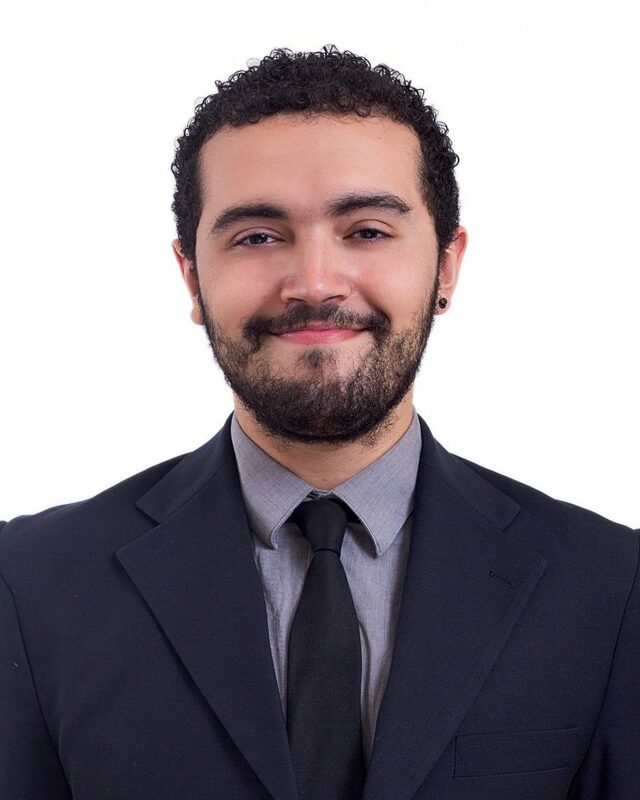 Chris is originally from Pensacola, Florida and enjoys connecting with students, learning languages, and visiting new countries. Alexis graduated from the University of Pennsylvania with a degree in Philosophy, Politics and Economics. After her freshman year, she volunteered in rural China where her passion for international education began. 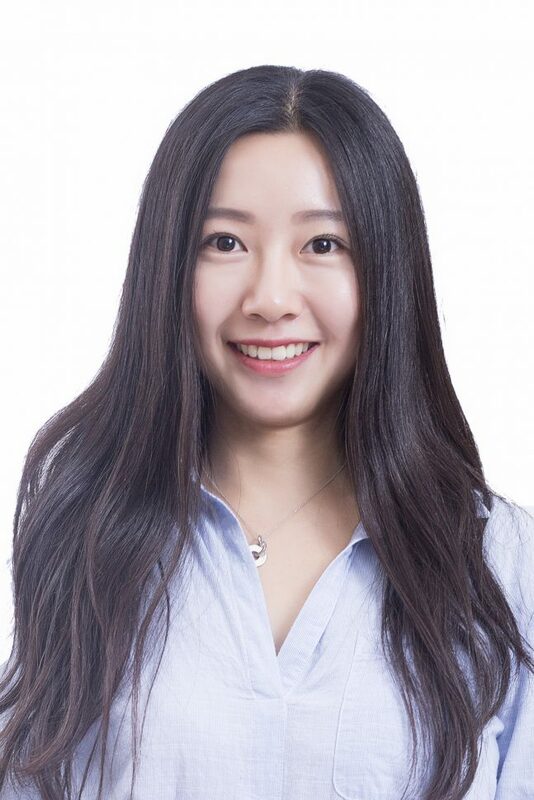 After graduating, she taught English, Health and Business at an international high school in Chongqing and loved working with Chinese students hoping to study abroad. She is thrilled to continue working with Chinese high-schoolers in a one-on-one setting. In her free time, Alexis enjoys hiking and reading French literature. 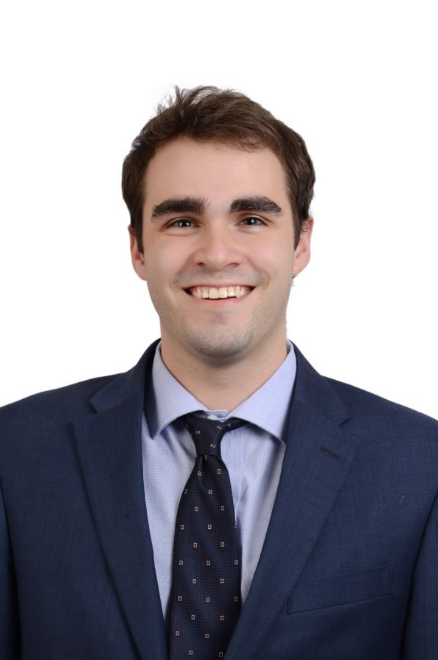 Colin is a University of Chicago graduate with several years of tutoring experience at both the high-school and college levels. 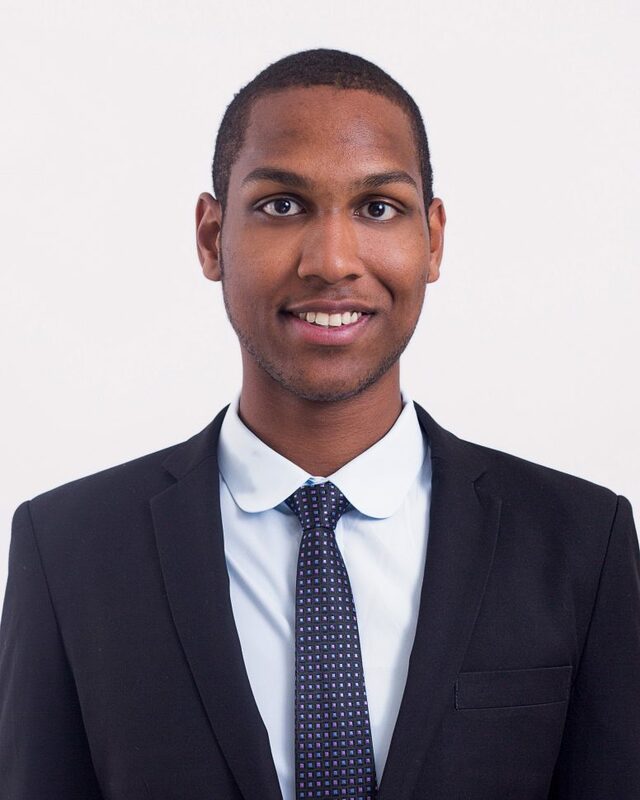 Beginning in high school, Colin volunteered during free periods to help teach students Algebra, and in college he worked as a teaching assistant for the Neighborhood Schools Program (NSP) and the Chicago Academic Achievement Program (CAAP). Colin majored in Mathematics but also enjoys creative writing, philosophy, literature, astronomy and social theory. Henry graduated from Vassar College with a degree in Mathematics. While at Vassar, he performed in many shows as part of the performance group “Merely Players.” Taking courses in disciplines ranging from mathematics to philosophy to visual art, he is a strong believer in the value of the liberal arts experience. Henry found his passion for mentoring working as a tutor for high school students, where he helped students improve their test scores and plan their college applications. A Cincinnati native, Henry enjoys philosophy, the arts, and outdoorsmanship. A Cincinnati, Ohio, native, EJ is a graduate of Amherst College where he majored in Asian Languages and Civilizations. During his time at Amherst he spent the spring semester of his junior year studying abroad in Beijing, and after graduation he worked in Beijing at a top-ranked American study abroad center. Prior to joining ESC, he also worked as a veteran teaching fellow with Breakthrough Collaborative and as a telementor through the Amherst admissions office. With years of teaching and mentoring experience, EJ brings to ESC a strong passion for international education and cross-cultural management. (Sabelo) Bongani Ndlovu is from Durban, South Africa. He graduated from Amherst College where he majored in Legal Studies and French, with a minor in Biology. While in college, he served as a language media developer and tutor, study abroad peer advisor and admissions intern. He was also part of an a cappella group and wrote for various on-campus publications. 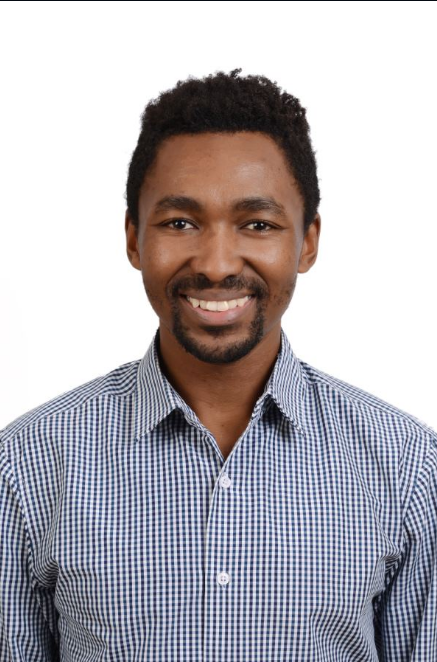 Post college, he has worked in the education sector as a teaching assistant in a Connecticut charter school and more recently as a science teacher in South Africa. He enjoys reading, writing, singing, cooking, kayaking and cycling. Stephen is a graduate of Haverford College where he was a major in Sociology and minor in Philosophy. While at Haverford, Stephen served as a Co-Head of the Student Political Network for three years, as a Peer Awareness Facilitator for incoming first-years, and as a teaching assistant for the course “Introduction to Social Theory.” Stephen’s interests in mentorship and teaching began in high school and developed during his time at Haverford as he learned to adapt to new educational settings. In his spare time, Stephen can be found reading, running, practicing the drums, and exploring Beijing. Kelly graduated from the University of Notre Dame with a degree in History. 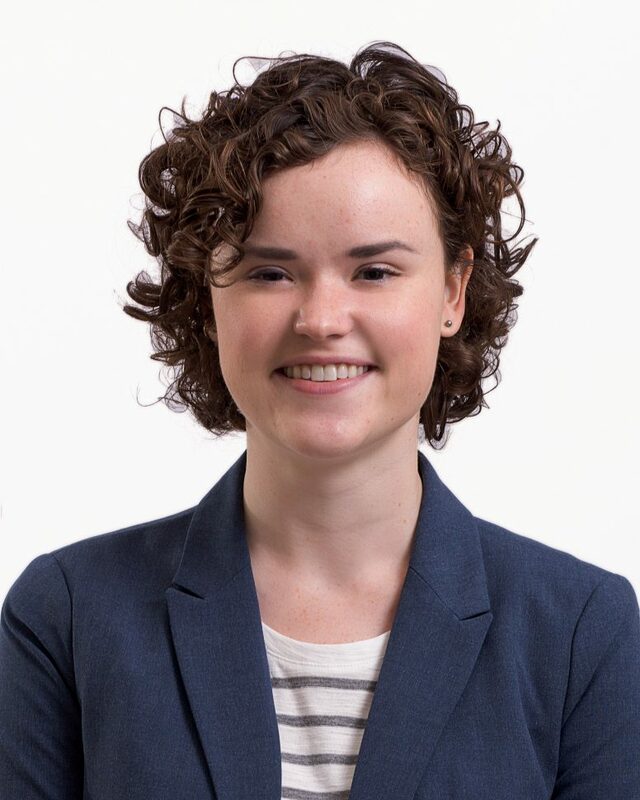 At Notre Dame, this Kansas native was involved in student government and undergraduate research, particularly focusing on genocide and disability studies. 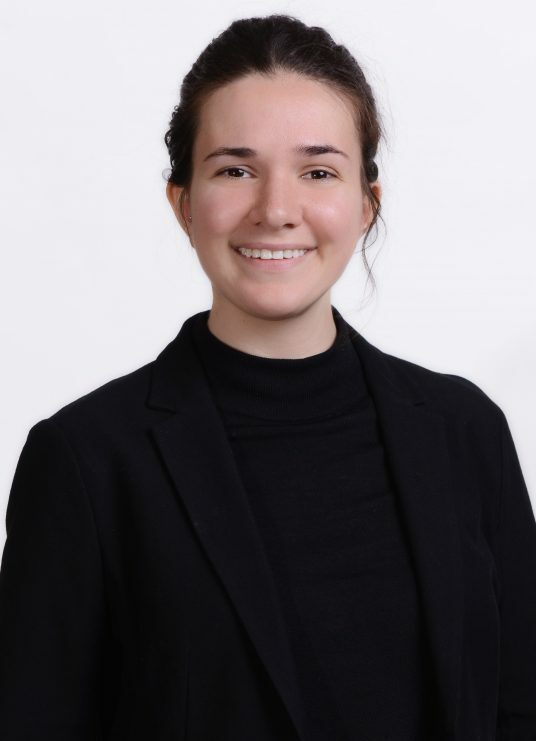 She highly values international educational experiences, which led her to conduct archival research in Berlin, volunteer with adults with disabilities in Austria, and study abroad at Oxford. At Notre Dame’s Writing Center, Kelly worked with students to help them improve their essays, dissertations, and personal statements. In her free time, she likes to try new recipes and read. Katie graduated from Yale University with a degree in English Literature. As an undergrad, she tutored in a range of subjects, edited a literary journal, and served as a senior mentor to incoming freshmen. 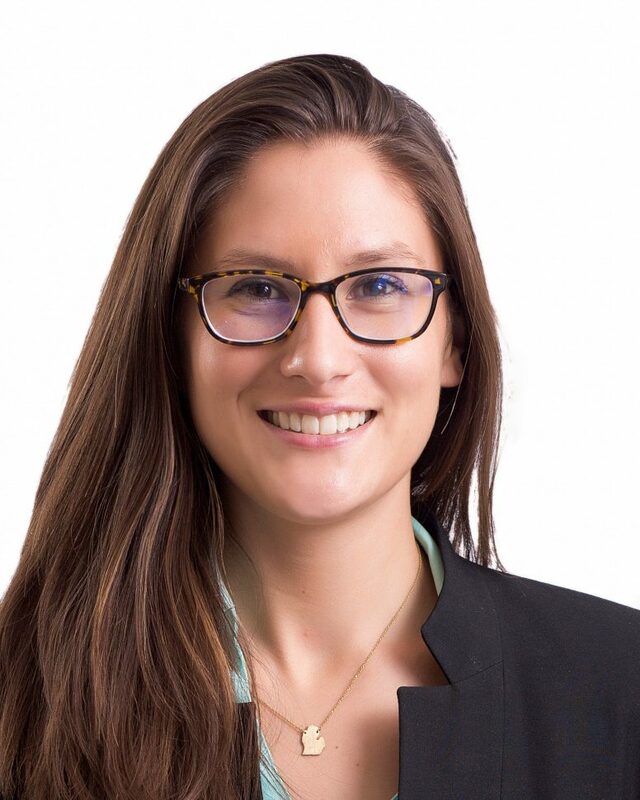 After graduation, Katie joined the Yale-China Teaching Fellowship and moved to Anhui Province, China, to design and teach Oral English classes at a public high school. She took particular pleasure in counseling several of her students as they applied for and were admitted to Yale’s summer program for high-school students. Katie is originally from New York City and, in her free time, enjoys playing and watching sports of all kinds. 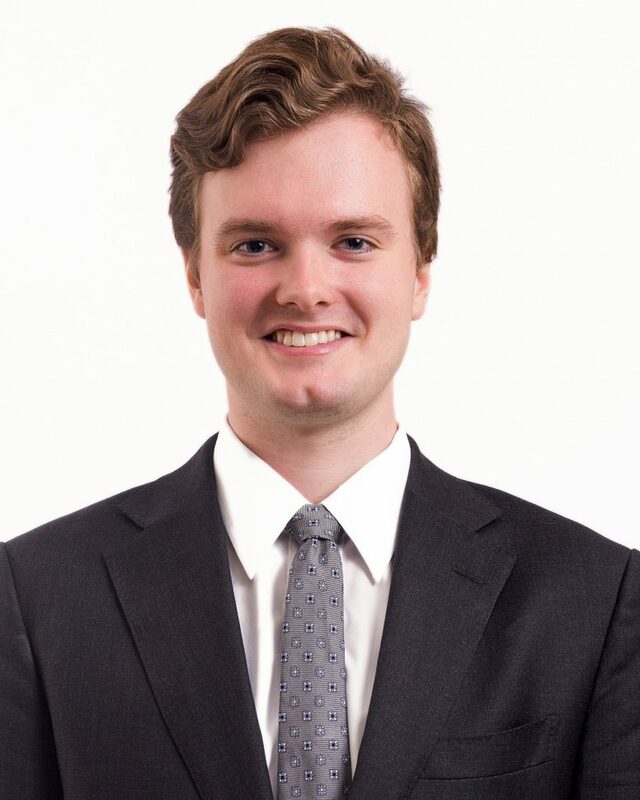 Matthew graduated from Bowdoin College with a degree in Government and Chinese. 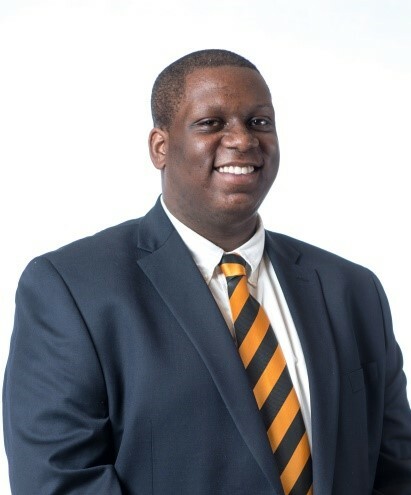 At Bowdoin, Matthew worked in the Alumni Relations office and as a recruiter for Bowdoin Athletics. He also played soccer and was a member of the varsity track and field team. Matthew continues to enjoy sports and reading philosophy and literature in his spare time. Having always wanted to visit China, Matthew is very excited to be living and working in Beijing. Born and raised in Los Angeles, Regina went across the country to study at Smith College. From working as a assistant to their high school’s college counselor to working as a career peer advisor at Smith’s Career Development Office, Regina developed a passion for mentoring and advising students. Besides graduating with a degree in Education and Child Study, they spent a semester abroad at the University of Otago in New Zealand and danced with a Bollywood hip-hop fusion dance group during college. During their free time, Regina enjoys poetry, dogs, and having conversations about the meaning of life. Madeleine is a graduate of Vassar College, where she studied Political Science. She grew up in Toronto, Canada, and is the first member of her family to attend an American university. At Vassar, Madeleine was a Teaching Assistant in the International Studies department, where she supported students as they prepared for the annual National Model United Nations Conference. She was also President of the Vassar Debate Society, and particularly enjoyed helping novice debaters reach their full potential. In her free time, Madeleine loves to hike and cook. Kate grew up in a small town in New York and graduated from Wesleyan University with a major in Economics. While at college, she worked as a new student orientation intern, calculus teaching assistant, alumni and parent relations intern, and academic peer advisor. After graduation, she worked at a financial technology company until realizing how much she missed the experience of mentoring students and helping them acclimate to college life. In her free time, Kate enjoys running, skiing, and trying new types of dumplings. Sydney graduated from Cornell University with a dual degree in Asian studies and biological sciences. While in college, she participated in a variety of extracurricular clubs and volunteer organizations, most of which were dedicated to bettering the lives of students of all ages through after-school programs and peer mentor groups. She was also fortunate enough to study abroad in both Cambodia and China. These experiences coupled with her personal and academic interests confirmed her desire to pursue a career in China. At ESC, Sydney hopes to use her background to help students realize their full academic potential and give them the tools necessary to do well not only in college but also in their future careers. 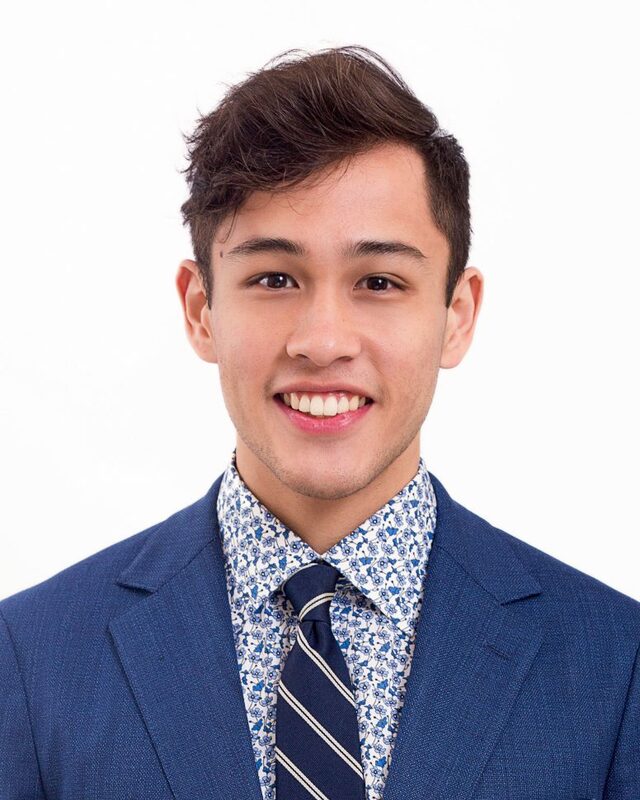 Paul is a Middlebury College graduate with a degree in International & Global Studies (with a focus in East Asian Studies) and a minor in Education Studies. Paul has been involved with many diverse educational communities, and has been fortunate to work with students of a variety of ages and backgrounds. This includes being a teaching assistant at Middlebury’s local children center, as well as working as a mathematics and Chinese teacher at an independent private school in his hometown of New York City. In his free time, he also enjoys partner dancing, swimming, and attending concerts. 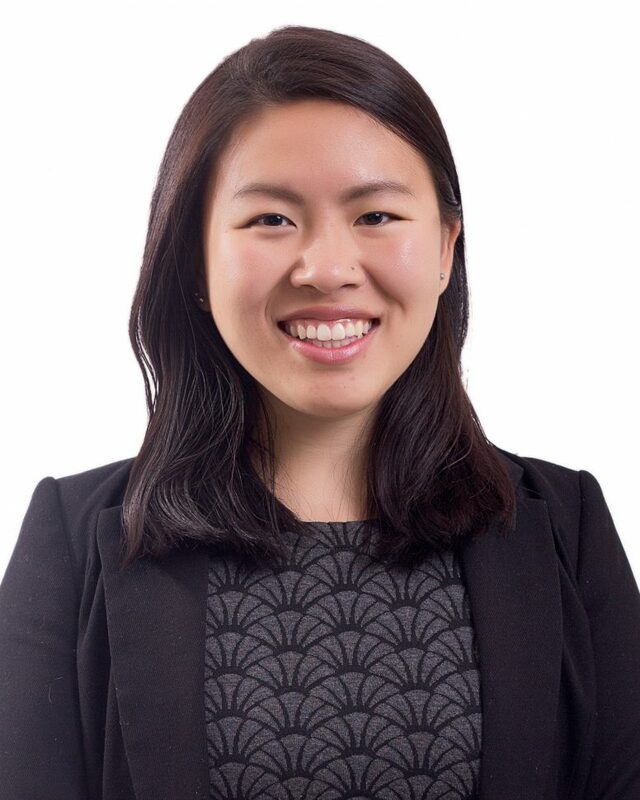 Elaine is a UCLA graduate with a Business Economics major and Entrepreneurship minor. At UCLA, she was Co-President of China Care Bruins, a mentorship program for adoptees from China. 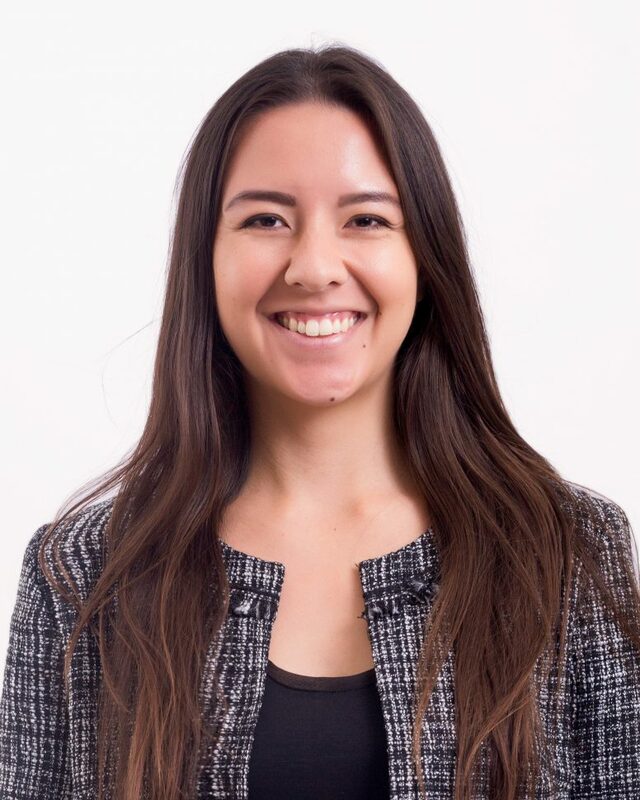 During her junior year, she studied abroad in Shanghai and became a student ambassador for the education abroad program for University of California students. During the summers, she worked in Hong Kong as a teaching assistant for Johns Hopkins Center for Talented Youth (CTY). Elaine is extremely excited to continue pursuing her passions in mentorship and education by working with ESC’s exceptional students. Taylor Weston was born and raised in Hawaii and graduated from the University of Notre Dame. As a Psychology major and Chinese minor, Taylor developed an interest in education, learning behavior research, and Chinese culture. 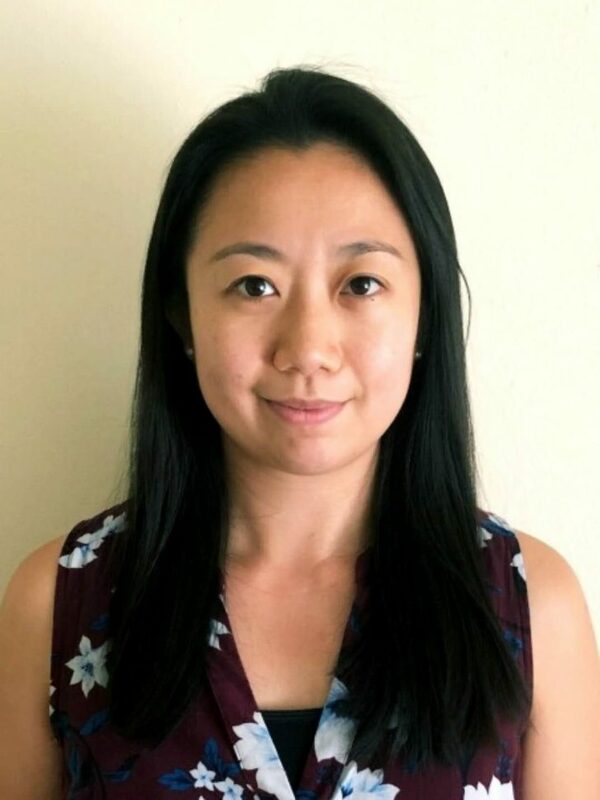 Working at a school in Hawaii, she helped develop the school’s first Chinese language immersion program and enjoyed working with middle school students visiting from China on an exchange program. 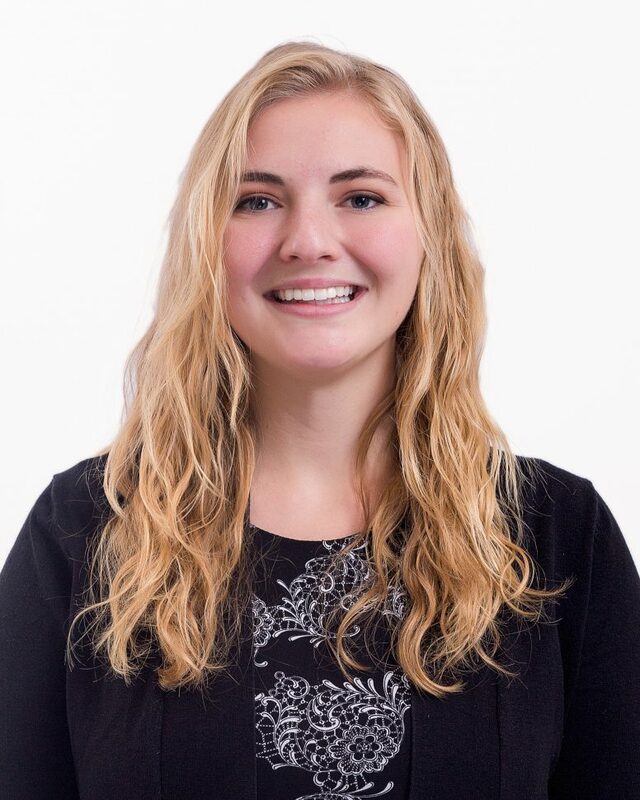 Taylor has a passion for education counseling, and has mentored and tutored children in her community since high school. In her free time she enjoys being active outdoors, eating noodles, and reading non-fiction books. 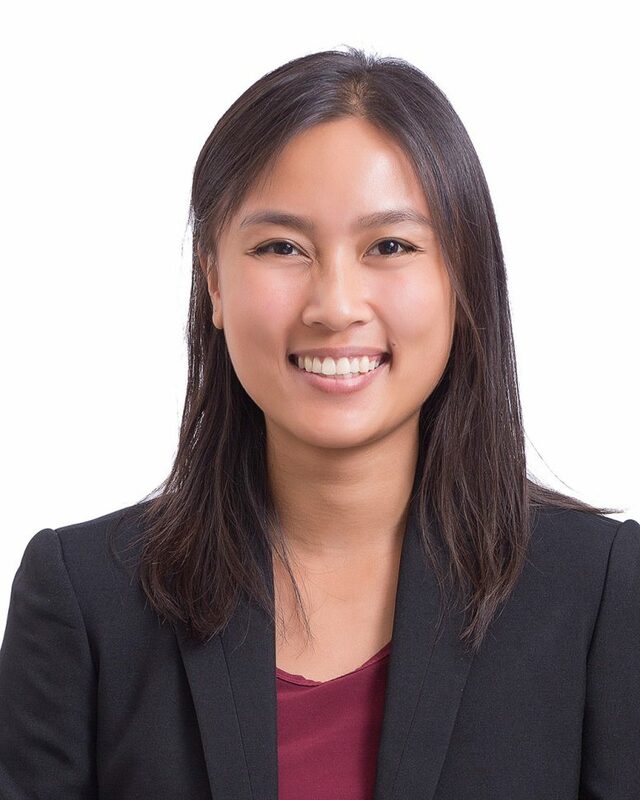 Born in Hong Kong and raised in the Bronx, Catherine joined Elite Scholars of China after serving four years as an Admission Officer at Vassar College. While at Vassar, Catherine specialized in both multicultural recruitment and the recruitment of international students from China, East Asia, and the Pacific Rim. Catherine is a graduate of Fordham University in New York where she majored in History and minored in Art History. During her two-year term as an Admission Counselor for her alma mater, Catherine earned her Master’s in Public Communication with a focus on Global Chinese Cinema. Catherine is excited about working with the students and team at ESC on the “other side of the desk”. 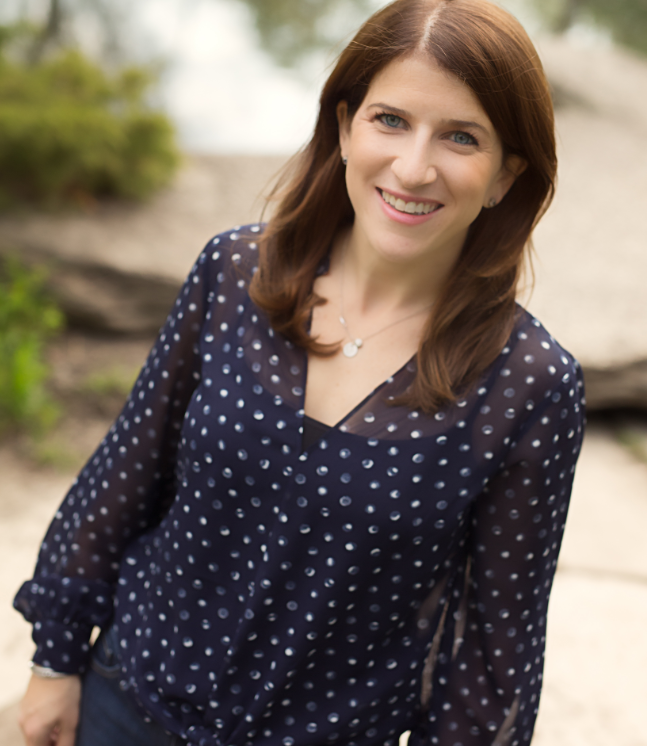 Formerly an educational consultant for eight years with a counseling firm based in Evanston, Illinois, Jordana has been advising college-bound students and their families on the increasingly complex and competitive process of applying to college. 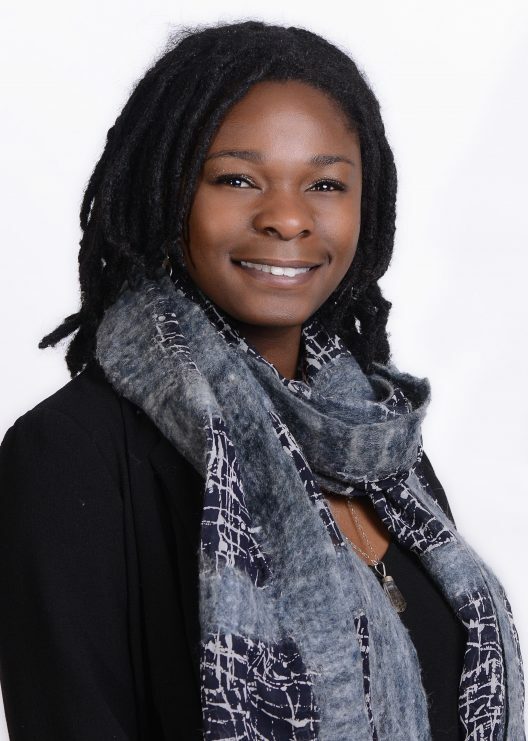 Jordana has a Master’s degree in counseling from National Louis University and has been certified as a licensed professional counselor by the National Board for Certified Counselors. She graduated from the University of Michigan with a Bachelor’s degree in psychology. When not working with college-bound students, Jordana can be found playing with her son and daughter and dining (hopefully al fresco) at one of Chicago’s many wonderful restaurants. 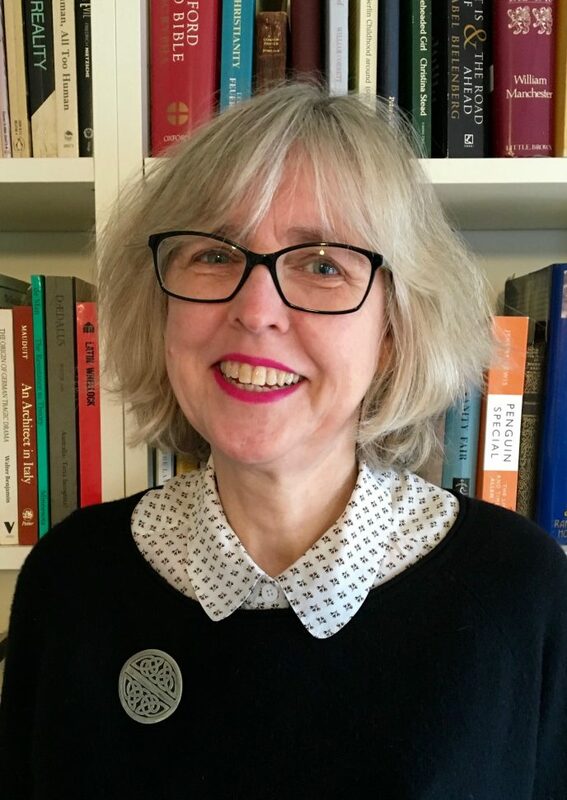 Rosemary Jones is an Australian who graduated from the University of Adelaide and taught in secondary schools before moving to the United States where she lectures in writing at Yale. In addition, she tutors as a Bass Writing Tutor for Yale College, helping individual students with their papers. 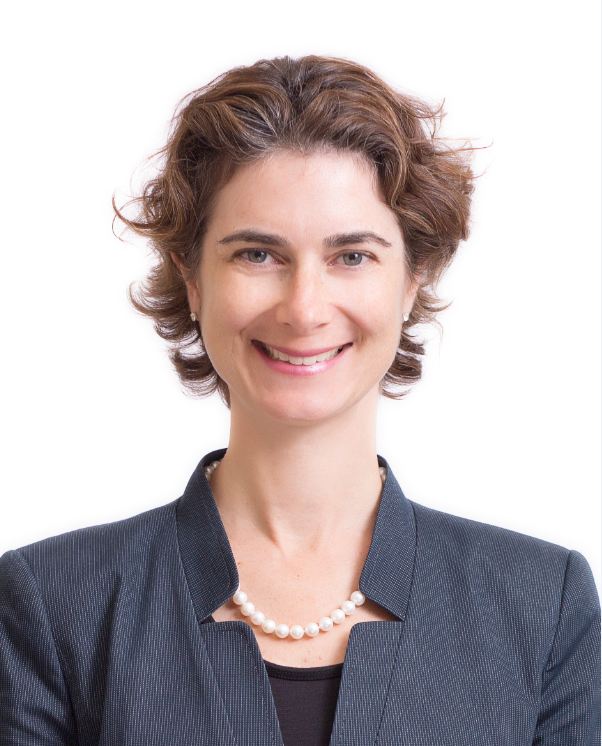 She has taught for the Yale English Language Institute, as well as the University of Adelaide. In the summer, she teaches for the Warrior Scholar Program, a non-profit organization that assists military veterans transition to college. She received her MFA from Queens University of Charlotte, North. Rosemary writes fiction and non-fiction. Her stories have appeared in a range of literary journals. She recently won Alligator Juniper’s 2015 national prize for non-fiction. Pelin graduated from Harvard University with a degree in Literature. Since graduation, she has worked as an alumni interviewer for Harvard for many years, helping Harvard’s admissions office evaluate prospective students from around the world. 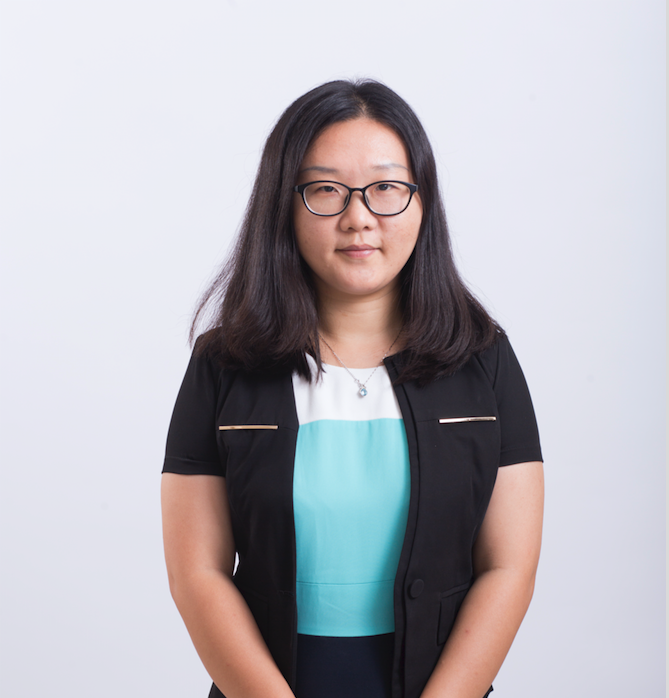 A PhD candidate and an instructor at Yale University’s department of Comparative Literature, her broader research interests lie in various humanities fields including philosophy, history of art, film studies and intellectual history. She has taught literature and film in diverse settings, ranging from college introductory courses to international summer camps for high school students. Pelin is originally from Istanbul and she is an established fiction writer in Turkey. In her free time she loves jogging, visiting museums and traveling. Emma is from Princeton, New Jersey. She graduated from Colgate University with a degree in Peace and Conflict Studies, and a regional concentration in the Middle East. During her time at Colgate, she worked with an on-campus club that helped local high school students with test prep and their college application essays. 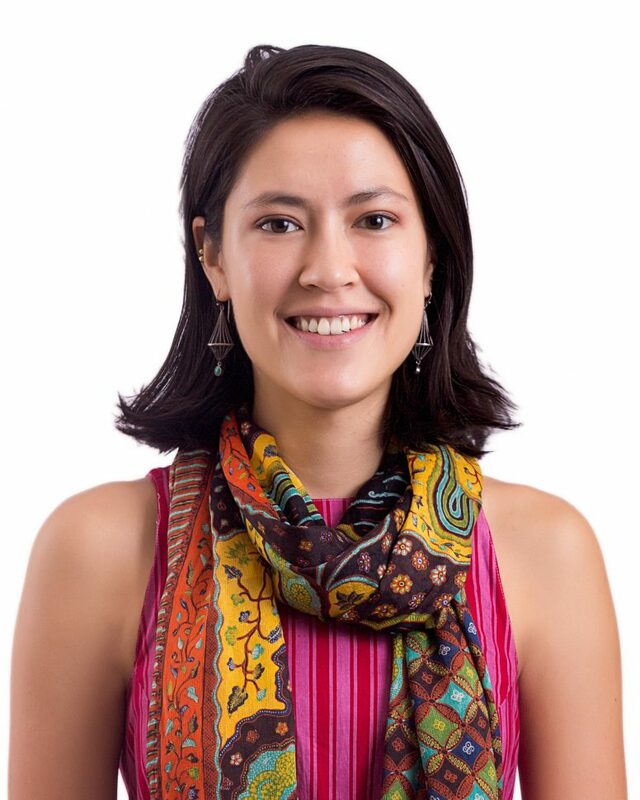 After graduating from Colgate, Emma moved to Beijing for a year and a half to work for ESC. She is now back in the U.S. and is excited to continue helping ESC students develop as writers and thinkers throughout the college application process. Kevin has been a University Admissions Counselor and Career Coach since 1998. His range of expertise includes graduate schools, and professional aspects from internships to job seeking, resumes, and cover letters. In 2012 he was invited to lead seminars on College Application Essays in Beijing, Shanghai, and Taipei. He is also privileged to do extensive volunteer counseling and educational work with scholastically-challenged urban communities in Los Angeles. Prior to this, he spent 12 years teaching Writing, French, and English Language at institutions from U.C. San Diego to Phillips Andover Academy to the Université de Dijon in France. His first collection of poetry, KAIROS, will be published this year. 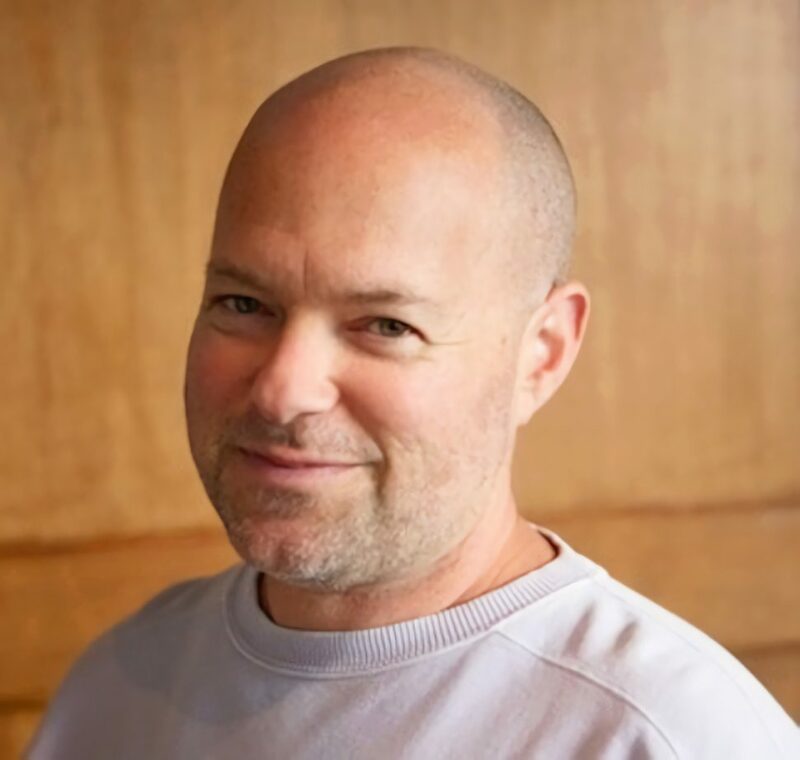 Greg is a New York City native and a graduate from Brown University with degrees in comparative literature and German studies. In addition to managing the weekly newspaper at Brown, he played in several bands and began translating German literature. 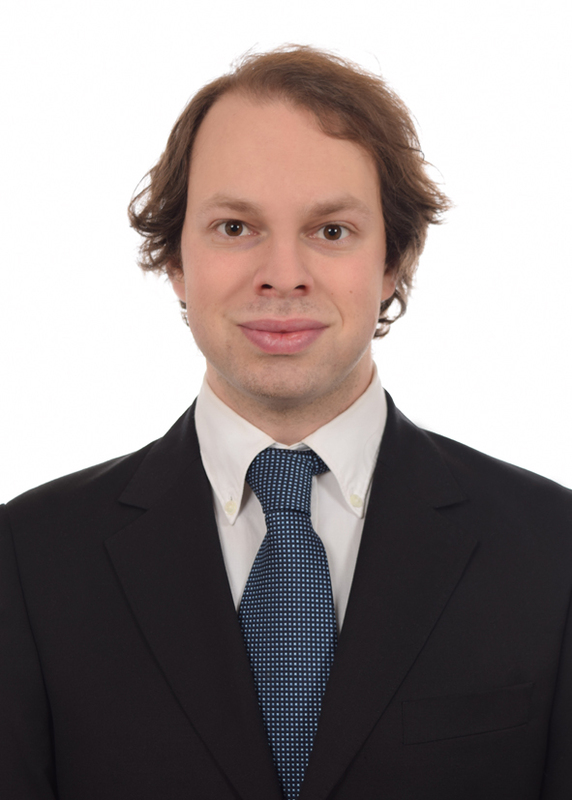 Greg moved to Berlin after graduation on a Fulbright Grant, a prestigious and highly selective research grant, to work with a linguistics research group. Prior to joining ESC, he spent two years as a private tutor, focussing on creative and critical writing. In his free time he’s often riding his bike or checking out film screenings. 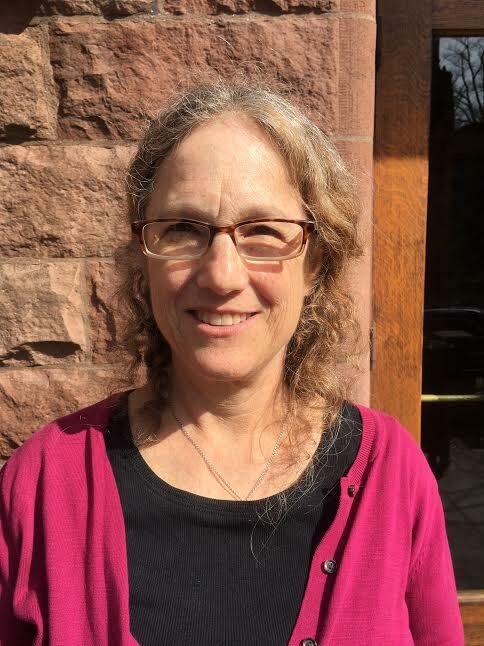 Cathy Shufro has taught writing at Yale and Wesleyan universities and for Yale’s English Language Institute. She serves as a Bass Writing Tutor at Yale College, where she works one-on-one with students on academic papers and application essays. 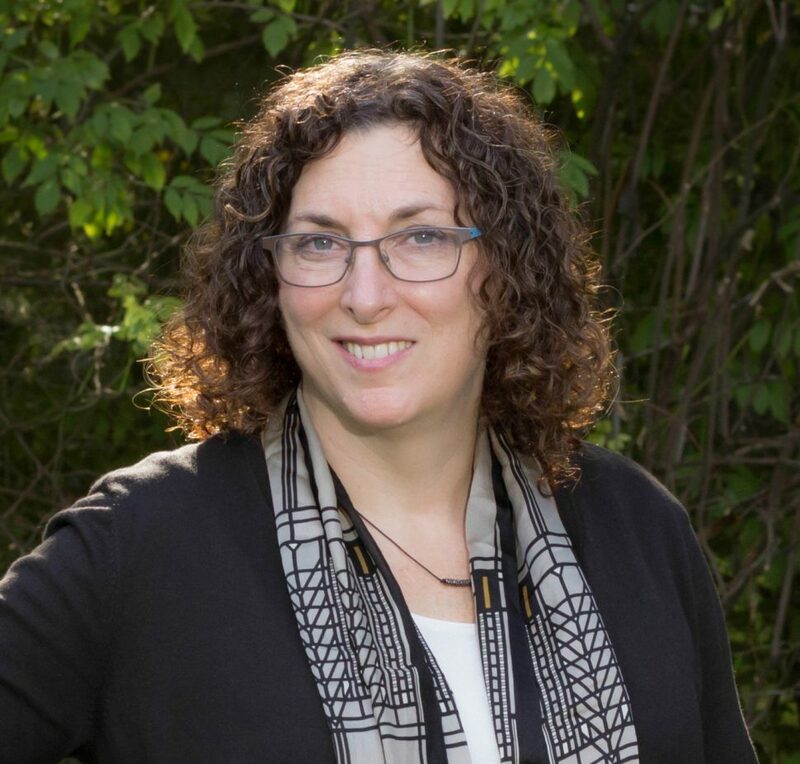 In addition, Cathy has been the on-call writing consultant for the Yale World Fellows program, which brings leaders from all over the world to the university. Cathy writes for magazines including the Yale Alumni Magazine and Johns Hopkins Public Health magazine. She is also a photographer and has traveled widely in Asia. Cathy graduated from Brown University. Carolyn has specialized in international higher education for nearly thirty years: in admission at Brown University, education abroad at Wesleyan University and the Pontificia Universidad Católica de Chile, area studies and scholarly research at New York University, and professional training and international development with USAID-Chile. 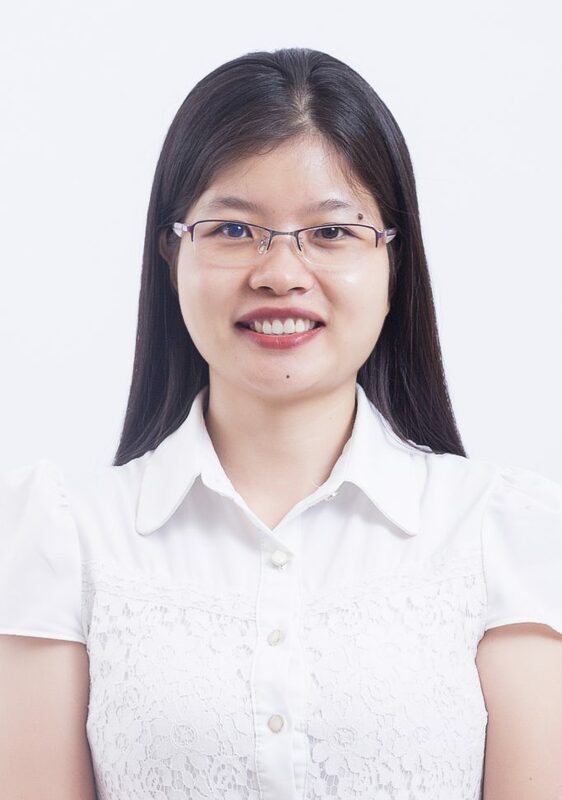 She joined ESC in 2014, focusing on students attending high school outside of China. Carolyn earned a Ph.D. in International Education at New York University with a dissertation on public intellectuals in Chile’s transition to democracy, a dual MA in International Development Education and Educational Administration & Policy Analysis from Stanford University with a thesis on intellectuals and sociopolitical change in Central Europe, and a BA in History from Brown University. Bilingual in Spanish, Dr. Sorkin first fell in love with international education during a semester in Toledo, Spain, and looks forward to helping her twins study abroad in 2025-26. Alec graduated from Emory University with a degree in International Relations. 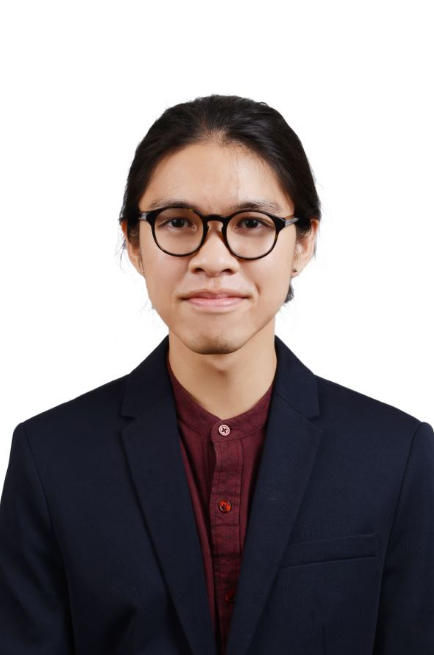 As an undergrad, he worked with Emory’s International Strategy office in which he analyzed the university’s international research networks and rankings. 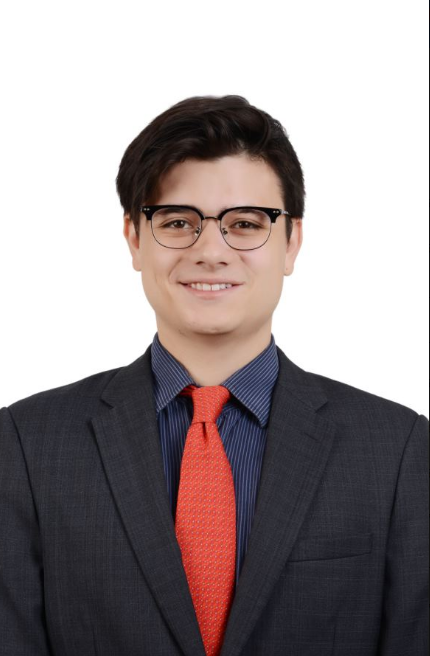 After graduation, Alec moved to Washington, D.C. to work with a company that facilitates educational exchanges between American and Chinese universities. Here, he fostered a passion for strengthening international relations through education. Alec is originally from Atlanta, Georgia. Amanda Guo comes from the beautiful province of Jiangsu. She chose to study abroad in Australia at the age of 17 and received a bachelor’s degree in Linguistics and Communications. After graduation, Amanda worked as a counselor at an international student center. She is well experienced in helping international students study abroad. She also holds the CELTA certificate (Cambridge Certificate in English Language Teaching to Adults). Before she joined ESC, Amanda worked in a large English teaching institute in Beijing. At ESC, she is mainly in charge of communication with parents and students, interviewing new students, and helping parents communicate with American counselors. Rita Lee graduated from Tianjin Foreign Studies University with a major in English. Before joining ESC, Rita worked in an English training program for children in Beijing for 4 years. At ESC, she is in charge of talking with prospective families, answering parent and student questions, and interviewing new students. 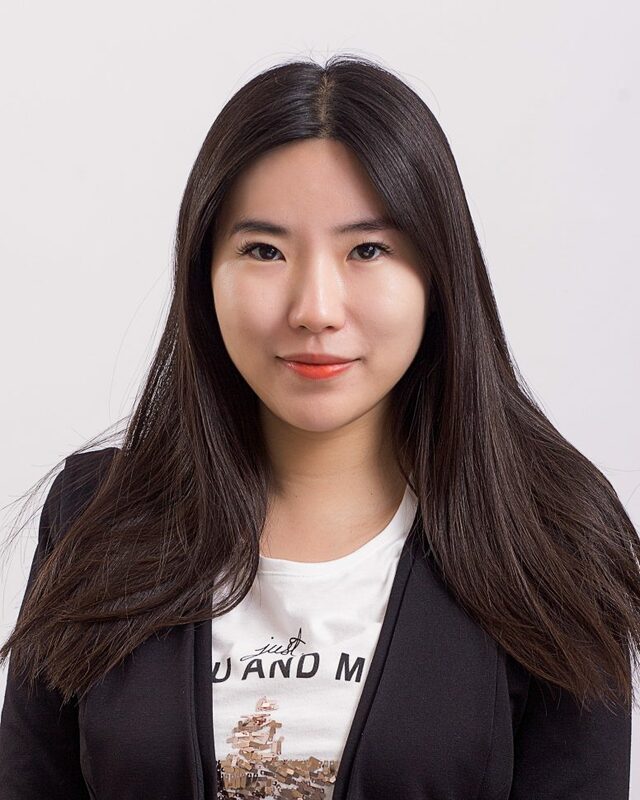 Melinda Yang graduated from Renmin University of China with a major in Business Management. Prior to ESC, she has been working at international companies in selling and customer service work for years. She is very glad to join ESC, and she hopes she can help students apply to their dream school by her responsible work with them. As the Parent Liaison at ESC, Melinda coordinates with the counselors to ensure a successful college application, also communicates directly with parents about their child’s application, and arranges meetings for counselors and students. Susan was born in Inner Mongolia and grew up in Shandong province. She graduated from Xingtai University and majored in English literature. With over five years of working experience in office management, Susan is very welcoming and will always support you when you need her! Louis Von grew up in Ningxia Autonomous Region and received his bachelor’s in Business English Language from Xi’an Fanyi University. 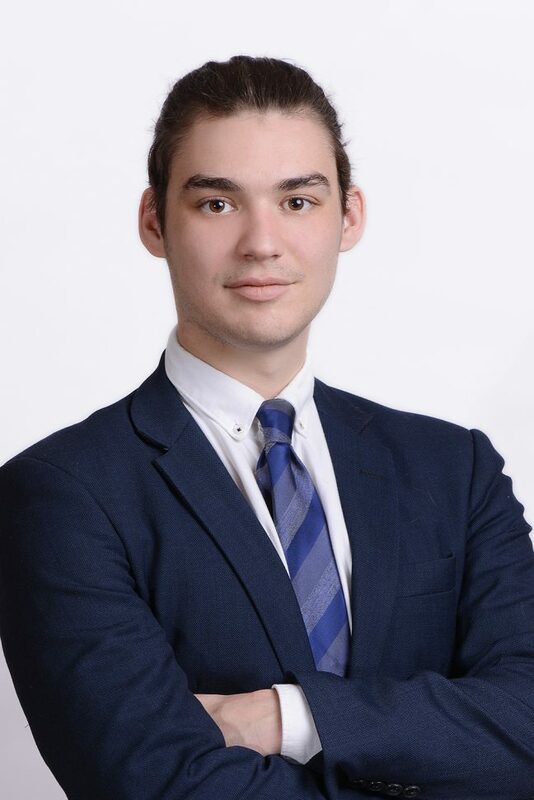 Louis brings to the Recruitment Team a rich experience in student life management, as his helped American undergraduates succeed while studying in China prior to joining ESC. An avid traveler, Louis enjoys exotic foods and good drinks, but in the kitchen, he remains faithful to cooking according to his hometown flavor. Christina graduated from Hebei Normal University with a major in English Education. She has been working in education for nine years and has experience working at both local and international schools as well as in training. She has also helped students apply for American colleges and is familiar with the application process. As a Parent Liaison at ESC, Christina coordinates with the counselors to ensure a successful college application, communicates directly with parents about their child’s application, and arranges meetings for counselors and students. 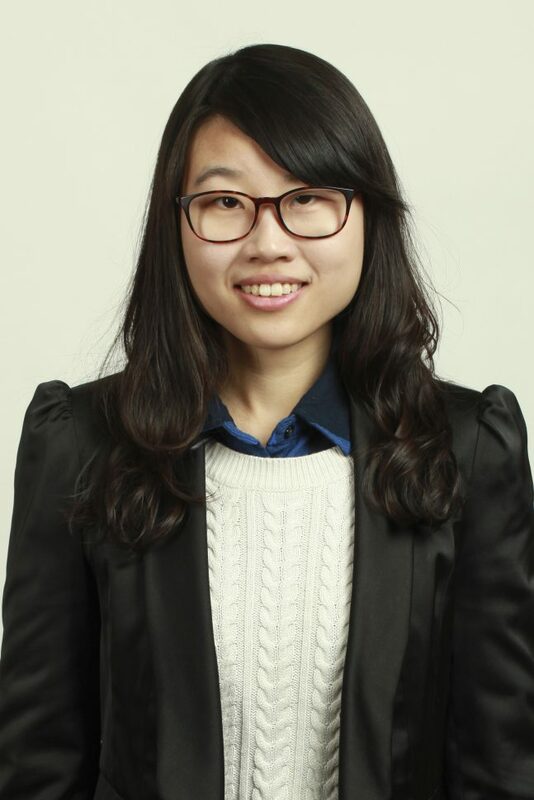 Pingli graduated from Beijing Normal University with a master’s degree in Linguistics and Applied Linguistics. 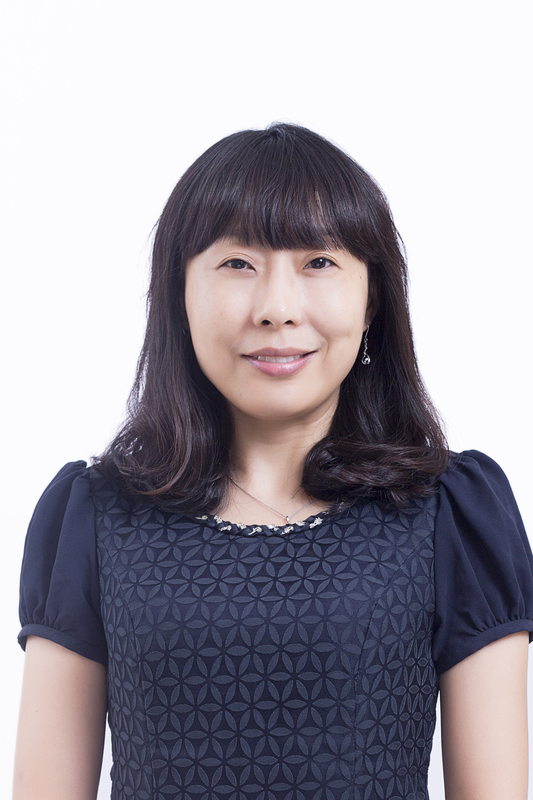 She has been working in education for more than ten years and is very familiar with American education systems and American college culture. 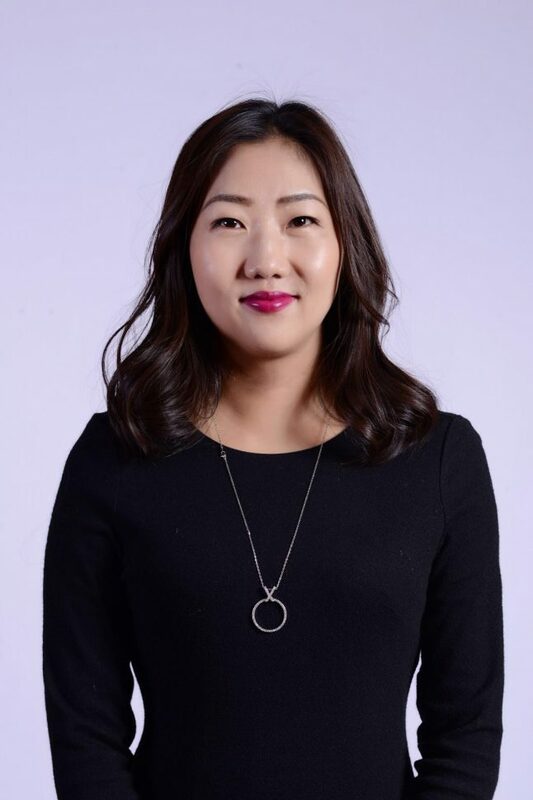 As a parent liaison at ESC, Pingli coordinates with the counselors to communicate with parents, updates parents about their child’s application, and arranges meetings for counselors and students to ensure a successful college application. Lily is a bilingual and multicultural person with many years of international working experience. 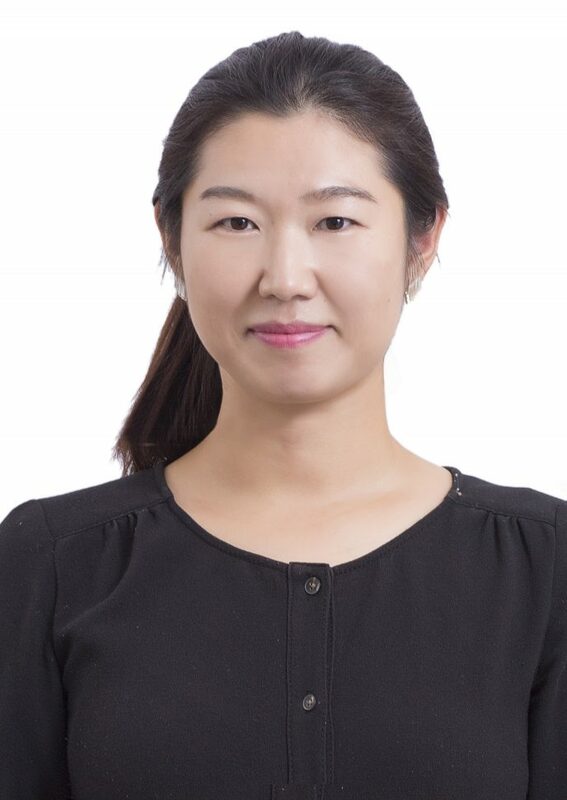 She has worked in both the UK and China, has experience working at one of the famous English language educational organizations in Beijing, and has a good understanding of both Chinese and American education system. As a parent liaison, Lily coordinates with the counselors to communicate with parents, updates parents about their child’s application, and arranges meetings for counselors and students to ensure a successful college application. Melissa Wu graduated from the University of Ulster and has worked in education for over three years. Prior to joining ESC, Melissa worked at an English training agency and really enjoyed teaching children between the ages of 3 to 12. As a Parent Liaison, Melissa coordinates with counselors to build a bridge of communication with parents, updates parents about their child’s application, and arranges meetings for counselors and students to ensure a successful college application. 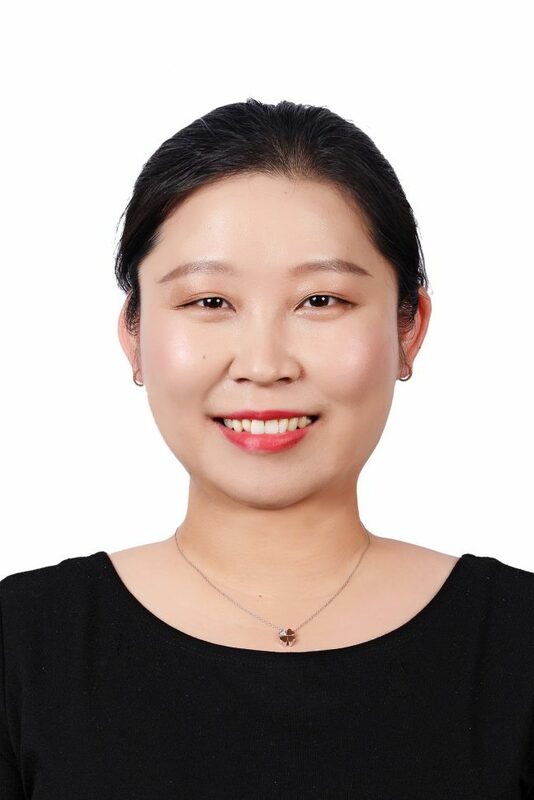 Having graduated from Beijing Foreign Studies University, Paula Zhou worked in the international department of a public school for about five years. 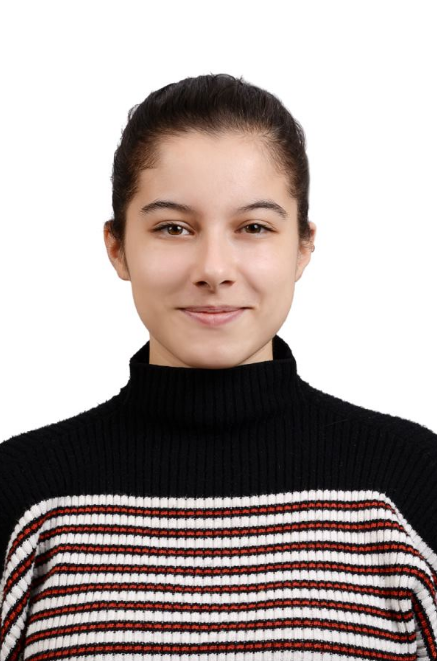 She has accumulated rich experience in helping students get admitted to prestigious U.S. universities and is quite familiar with the application process. As an Application Coordinator at ESC, Paula closely works with counselors and students to ensure a successful college application. 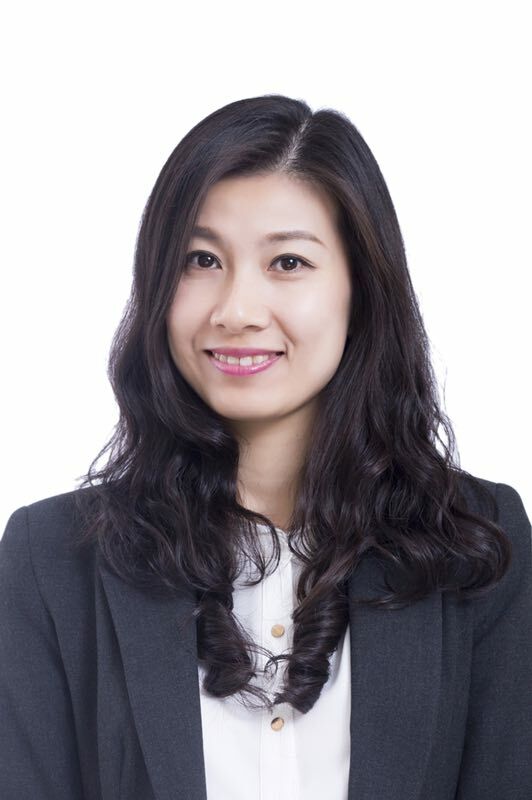 Monica Liu is a graduate of Beijing Foreign Studies University, where she majored in English. As a Parent Liaison at ESC, she is the communication “bridge” between the parents and ESC, sending Parent Notes regularly to parents, resolving problems in the application process, and providing the utmost support to students and counselors. Her main goal is to ensure smooth and productive communication between the students and their counselors. At ESC, Victoria is in charge of organizing events and managing internal and external communications. Prior to ESC, she was a Project Manager at an IT start-up company. Before that, Victoria gained extensive experience in marketing promotions at several international companies and organizations. She graduated from The Chinese University of Hong Kong. 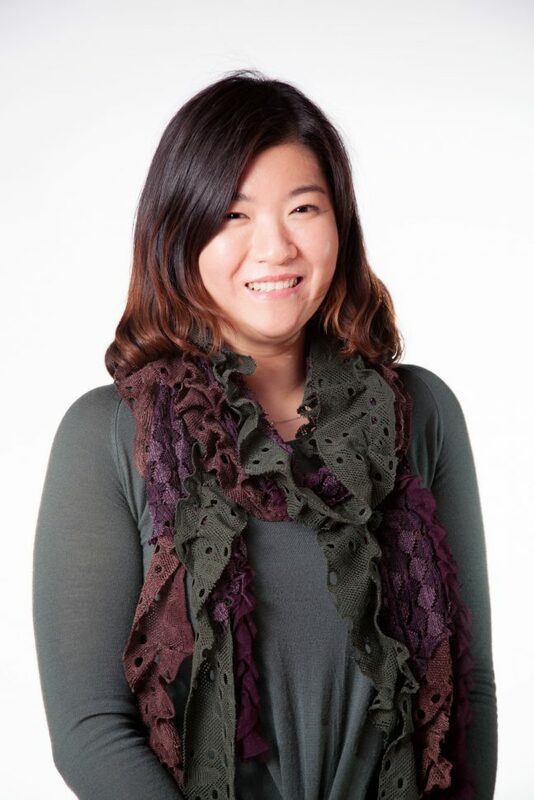 Frannie is from Nanjing, Jiangsu, a beautiful city that carries a long history. At ESC, Frannie is in charge of office management and logistics. Before she joined ESC, Frannie worked in senior-level management training, managing a firm’s support department. 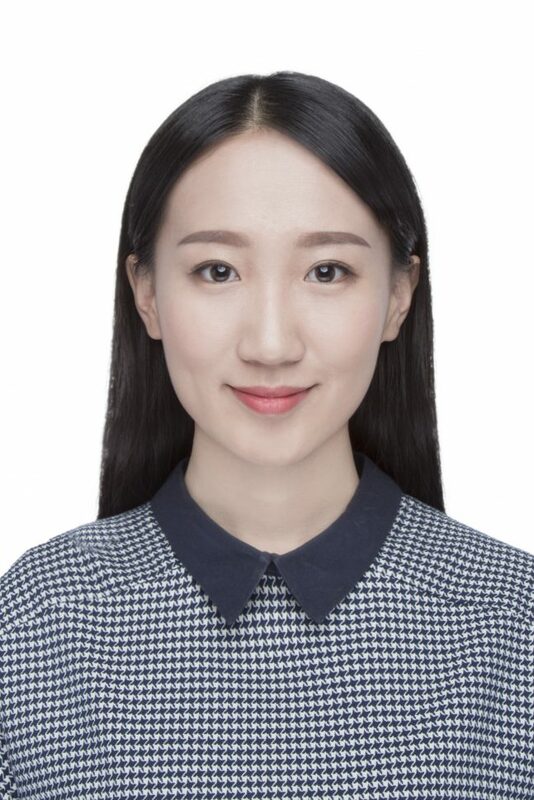 Frannie graduated from Nanjing University of Finance and Economics with a major in finance. In her free time she also volunteers in life coaching activities and seminars to help others improve their attitude and state of mind.